The notebooks are purchased. The buses are back out. It’s time for school. September is a magical month, filled with anticipation and excitement around freshly sharpened pencils and new learning. 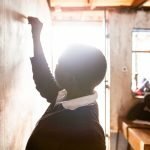 It could also be the month you decide to tangibly support a girl in Kenya to get a great high school education. 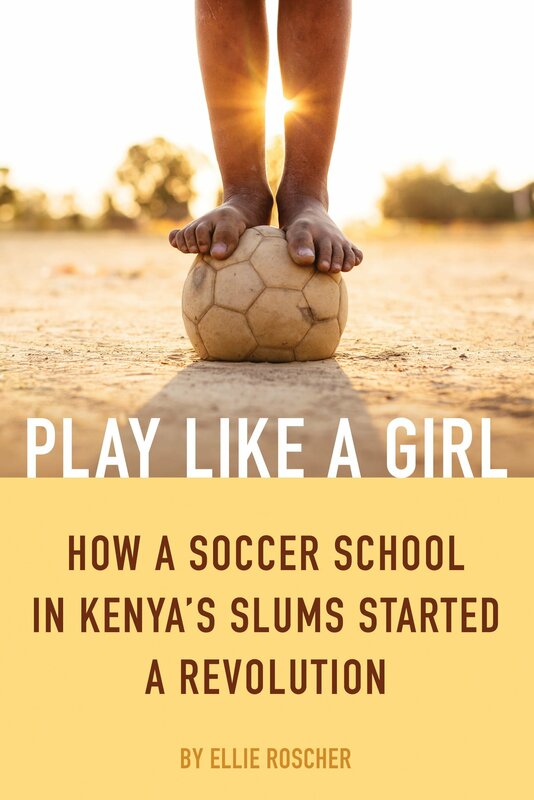 Before I ever head of Kibera Girls Soccer Academy, I was convinced that getting more girls access to excellent education was some of the most important work of our generation if we wanted to leave the world more beautiful. Then I heard about KGSA. I went to KGSA. I fell in love with KGSA. I wrote a book about KGSA. I am more convinced than ever. The tenacity of the KGSA students, the commitment of the teachers and the spirit of the community clarified the urgency and importance of our role. Helping girls all over the world get the education they deserve is paramount for the betterment of our communities. In the month of September, the KGSA Foundation is making it easy for you to get involved in this essential work. Their Classroom Connections program utilizes the support of donors to fully support a KGSA student in her journey through high school. Free education is not free. Your donations will make sure one student is nourished with food and consistent teaching, menstrual pads and access to health care. KGSA is looking for 30 new donors to support the 30 young women starting KGSA in 2017. Please consider joining #30DaysFor30Girls, and spread the good word. Be part of a community of KGSA supporters who believe in the power of education to change the lives of girls in poverty. Members support a KGSA student for one year and connect with the students at the school through monthly communications. Join Classroom Connections by donating $750 annually to KGSA to cover the cost of one student. This amount includes staff salaries, operation costs, field trips, meals, and more. Most importantly, 100% of your donation will go to Kenya to help the school with their expenses. In return for your support, you will receive monthly emails with stories and photos from KGSA. The KGSA Foundation is a registered 501(c)(3) nonprofit organization and all donations are tax deductible.